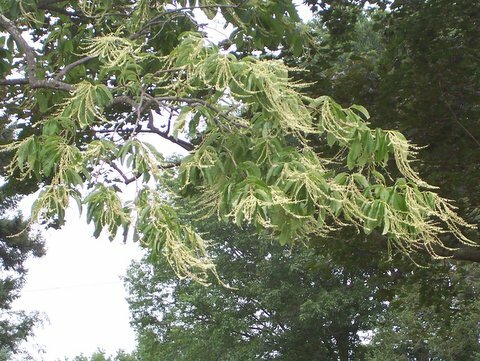 The tree favored this month by the Ewing Environmental Commission is Sourwood, Oxydendrum arboreum, one of America’s most beautiful native trees. It is at home in the eastern and southeastern United States in USDA Hardiness Zones 5-9. Ewing is located in USDA Zone 6. This specimen is located at a private residence on Seven Oaks Lane in Ewing. Sorrel Tree and Lily of the Valley Tree are two other names by which it is known.